The most intense fighting of the Brandy station Battle took place on the far rise (visible from the front porch of the Graffiti House). The 12th Virginia cavalry came from the far side of the hill, charged over the top (through the area today inhabited by the house to the left of the telephone pole) and crashed into the 1st New Jersey that was approaching the hilltop from the other side. 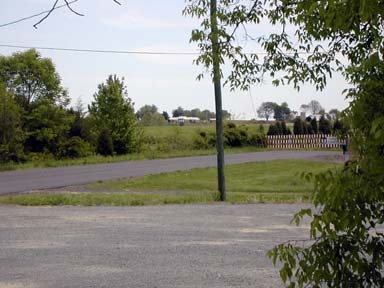 The farmhouse to the right of the pole was the site of the original Fleetwood House, upon whose grounds JEB Stuart was camped when the battle began.